His research covers price, competition, and consumer choice. He addresses questions such as: At what price should a hotel room be offered? How should a hotel respond to a competitive price drop? What is the influence of hotel ratings on booking behaviour? Dr. Van der Rest serves on 7 international editorial boards, and his work is published in leading scholarly books and international journals in hospitality and tourism. He has taught in Bachelor, Master, MBA, and Executive Education programmes. Recipient of research grants and awards, he is also visiting scholar at the Leiden Law School, Leiden University, focusing on the value-adding role of pricing and revenue management in times of business failure, turnarounds and insolvency/bankruptcy. 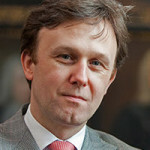 Most recently he has contributed to The Routledge Handbook of Hospitality Management. De afgelopen 10 jaar zijn eenvoud, transparantie en klantgerichtheid in belang toegenomen binnen de altijd groeiende complexiteit van de financiële sector. De financiële crisis is daarbij slechts een aanjager geweest van deze ontwikkelingen en de noodzaak om echte waarde voor de klant te creëren.